We provide a range of Boat Surveys including Pre-Purchase Surveys, Engine and Systems Surveys, Sea Trials, Insurance Surveys, Valuation Reports and Finance Surveys. As highly experienced and qualified marine engineers we also provide a FREE Engine and Systems Survey as a standard part of our service. At Atlas Yacht and Powerboat Surveyors our aim is to provide our UK and International clients in Palma, Gibraltar and Marbella with a range of services to support them throughout their sailing adventures. We are proud and passionate about the service we provide. We carefully construct a choice of survey options to meet our clients needs and guarantee a 48 hour delivery of a personalised and comprehensive survey in pdf (electronic) with a bound quality hard copy on request. We are qualified surveyors through the (IBTC International Boatbuilding Training College) and the (BMSE British Marine Surveyors Europe). We've been asked this many times so thought we'd put a simple description on our site. 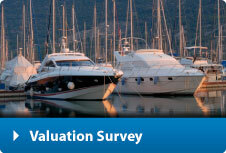 A typical survey involves a complete inspection of a boat, yacht, or ship in order to establish the condition it is in. Clients ordering surveys include people wanting to buy or insure a boat, insurance underwriters or financial institutions. 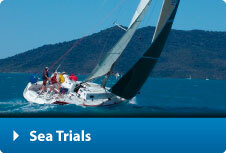 The surveyor then delivers a full report detailing every aspect of the vessel to the client. When buying a previously owned boat it’s essential to know what condition it is in. When you buy a boat you want to get as much information about it as possible before closing the deal. You'll want to know what condition the vessel is in, if it is structurally sound and if it's safe, if the equipment and machinery are in good working order and ultimately if it is good value for money. We want you to have this information so you know exactly what you are buying, can potentially negotiate on the price and can be confident in your purchase. 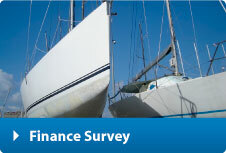 Most insurance companies and banks will also require a survey especially on older vessels. They will want to know the condition and ascertain whether the yacht or power boat is a good risk or whether the bank is prepared to lend money on the yacht. The type of survey depends on the client who has ordered it. 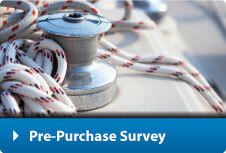 Most people buying a boat will want a Pre-Purchase survey (with ours you get an engine survey included for free!). 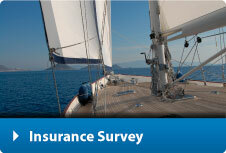 Some people may want an Insurance Survey to renew their yacht or powerboat insurance. Others may order a Valuation Report or Finance Survey for their bank. 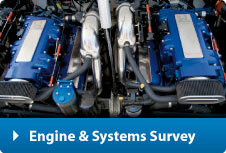 An Engine and Systems Survey checks the condition of your engines, electrical and fuel systems. We undertake all these surveys and many more. To find out more information and see sample reports click on the survey you require above. In addition to this we can tailor any survey, consultancy or yacht service to your specific requirements so do contact us if you'd like to discuss this further. To order a survey simply contact us or fill out our Enquiry Form and we'll get back to you without delay to discuss your requirements, the logistics and to offer you a quote. When our survey inspection has been carried out we will phone to discuss the findings on the day. The report, complete with pictures, can be emailed and a hard copy sent to you within 48 hours. We also offer a free follow up service so that if there is anything in the survey you don't understand or are unsure of we can talk you through it. If work needs to be carried out we can also advise on the best course of action for you. You should choose a surveyor carefully. Many people advertise themselves as Yacht, Marine or Boat Surveyors however currently there is no legal requirement that surveyors need to have qualifications, insurance or training. There are regulatory institutions, such as the International Institute of Marine Surveyors that monitor and maintain the standards of the surveys and reports. They also can provide redress if there is cause for complaint. So when contracting a surveyor you should check they have Professional indemnity and Public Liability Insurance and that they have the necessary experience and training. We’d also recommend you see examples of their reports. We’d add that its important you can understand the surveyor and they report back in plain English and that they are up to date with the latest developments in the industry. We’re confident that’s us. All of our surveys and inspections are undertaken in accordance with the guidelines and standards set by the International Institute of Marine Surveyors. Examples can be found by clicking on the example reports to the right. Our Surveys are indemnified by full professional indemnity insurance.